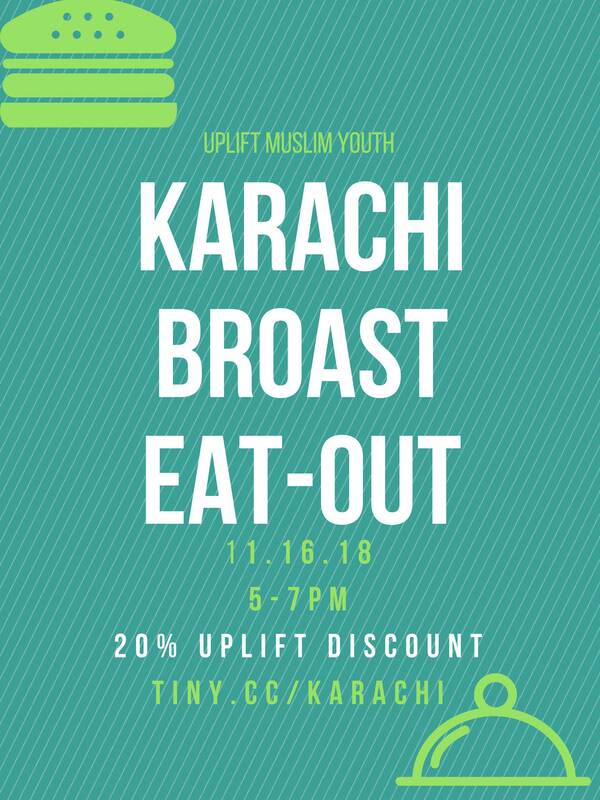 Thanksgiving break is right around the corner and we thought there'd be no better way to help kick off your break than with an UpLift eat-out at Karachi Broast! InshAllah, the event will take place this Friday from 5-7pm with a giveaway every 30 minutes + a 20% off UpLift discount! Sign up here. Edit This Event Last Edited By: UpLift Muslim Youth on Nov. 12, 2018, 8:56 p.m.